Can you imagine manifesting your heart´s true desire? Out of purest flow your being will create in joy, love and abundance. No concept or limitation will interfere. What it takes? Your decision to be alive, find out about your true being and listen to your heart. 20 pictures and exercises will give you guidance to your almighty power and let it happen! 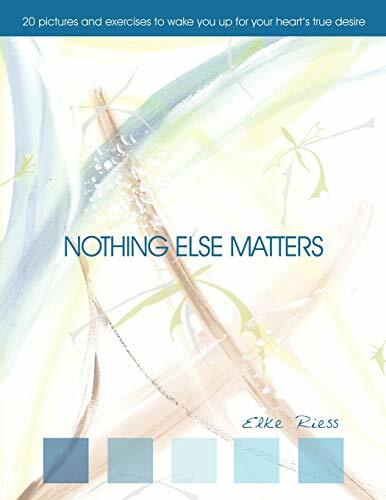 Elke Riess She was trained and worked teaching both German and Art. She has been a professional dancer, dance teacher, yoga teacher, Feldenkrais practitioner, Reiki master, neuro linguistic programming master, psycho kinesiologist, respiratory therapist, bioenergetic regeneration therapist and BodyTalk/ PaRama practitioner. In 2006 Elke had the experinece of enlightenment followed by a big transformation with gifts in healing and being clairvoyant. After some months in silence she started writing books and doing artwork to support people to wake up. Elke lives in Santa Barbara, where she teaches seminars, gives lectures and offers single sessions to heal people and support them to become who they are. She is also author from: Being Free- 30 pictures To Wake You Up and Set You Free, In the Bliss, And Now? !